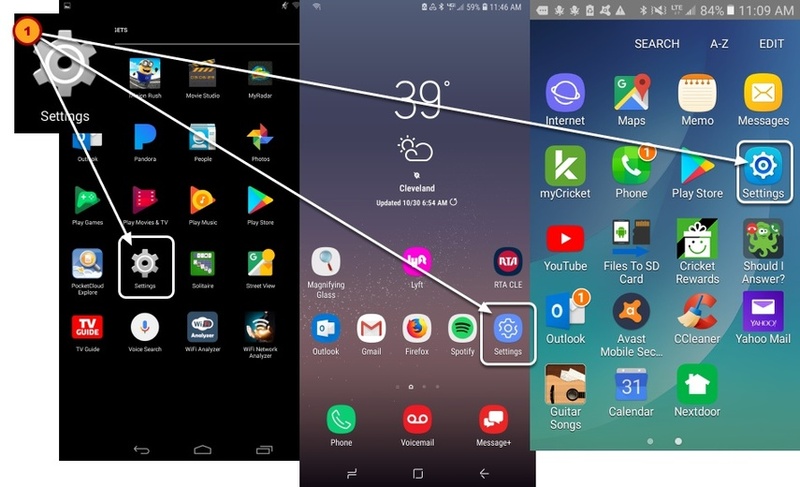 Each Android device appearance will be different depending on the Brand and OS. This article will show 3 possible views. They are not guaranteed to look like your device. The basic steps and connection information will be the same. 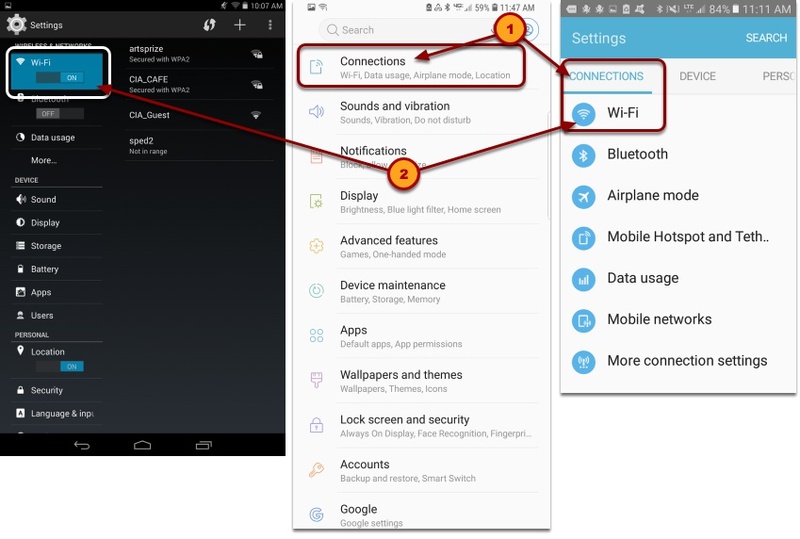 Find, Tap and open "Settings"
Find "Connections" then "Wi-Fi" or just "Wi-Fi"
Authentication method “Unencrypted password (PAP)”. 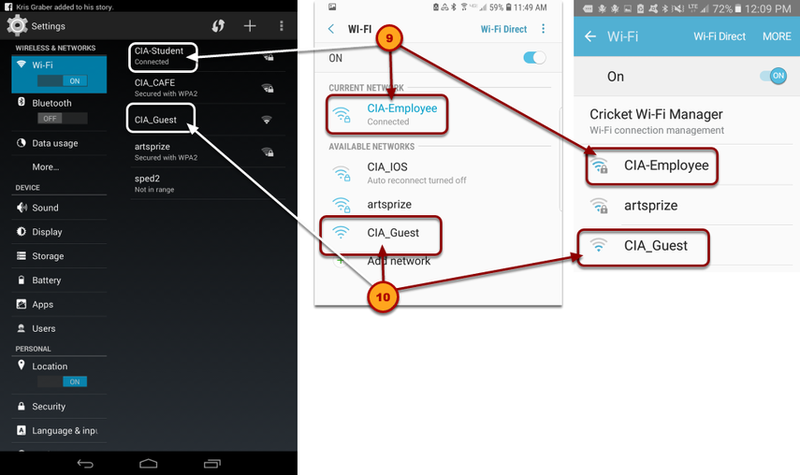 You are now connected to the CIA Wi-Fi network. 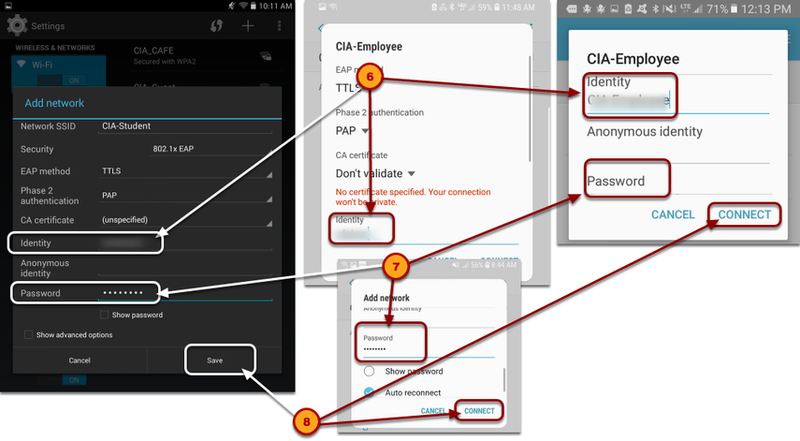 It is strongly recommended that you select and choose to forget "CIA_Guest"
If you have problems connecting, and you are sure that all of the settings are entered correctly. Before selecting "Save" or "Connect" -- SCROLL Down and look for Advanced Settings. 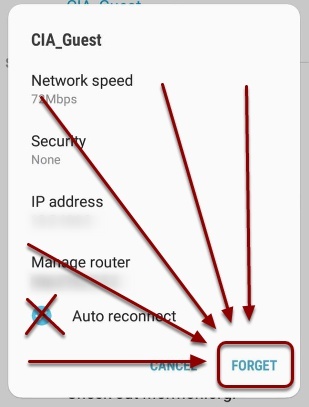 Select "Hidden Network" and choose "Yes"
Now select "Save" or "Connect"
Forgetting a network prevents your device from connecting to an undesired network.